Frank Lloyd Wright was around from 1867-1959 and was a famous American architect, actually he was eventually given the title of “the greatest American architect of all time” in turn making him also the most famous. He had over the years completed more than 500 different projects and designed over a 1000. During this time he went through several transitional periods with his architecture which eventually led to his most famous style. Frank Lloyd Wright coined the term “organic architecture” which is a philosophy seen in almost all modern design these days, especially in newer developments within the Greater Toronto Areas. Canada has such beautiful nature and many times it is removed to construct a home, the ideals of organic architecture prefer to integrate the design of the home within the natural surroundings as opposed to giving one up for the other. David Small Designs, a prominent architecture design house for upscale homes has taken this organic architecture and really utilized it in its projects which is part of why they are so successful. 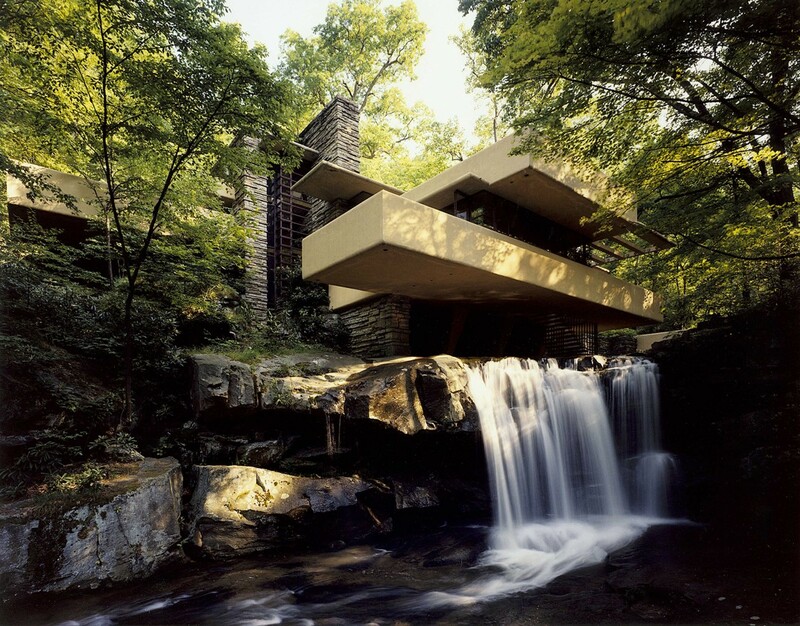 Going back to Frank Lloyd Wright, his most famous piece of work and one which epitomizes this design philosophy best is the Fallingwater home which is the featured image included with this article. It is very reminiscent of the work we see today but this home was built in 1935, which made it very unique for its time period. As you can see the design is perfectly molded into the environment allowing the house to have unobstructed views of the waterfall while also seeming as if it belongs there, this is something you will find in almost all well designed contemporary homes these days. It is also where the original term “Frank Lloyd Wright inspired” comes into play. This has been a short description of this great architect which hopefully cleared up some of the confusion you may have had about this prominent figure. He has quite a colourful history which could form a set-piece for a Hollywood movie, if you want to delve deeper for more information here’s a link to the his wikipedia page.